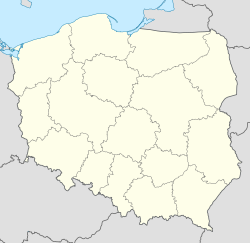 Radom [ˈradɔm] ( listen) is a ceety in central Poland wi 219,703 indwallers (2013). It is locatit 100 kilometres (62 miles) sooth o Poland's caipital, Warsaw, on the Mleczna River. ↑ "Banská Bystrica Sister Cities". © 2001-2008. Retrieved 2008-10-23. ↑ Zachert, Uwe; Annica Kunz. "Twin cities". Landeshauptstadt Magdeburg [City of Magdeburg]. Archived frae the oreeginal on 2012-09-01. Retrieved 2013-08-07. This page wis last eeditit on 15 Februar 2018, at 00:47.